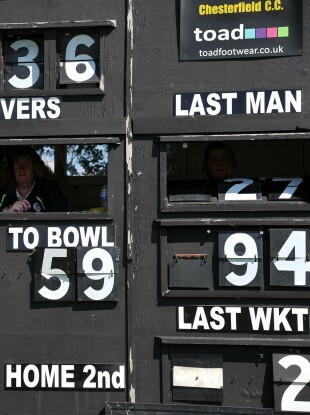 An old fashioned cricket scoreboard in operation at Queens Park, Chesterfield, England. $34,970,000 – The approximate amount by which we believe Bono’s wealth has fallen over the last three months, as the value of Facebook shares has fallen. Bono’s investment firm owns 0.88 per cent of the social network; we think Bono owns a tenth of the firm itself. He’s ok, though – his shares are still worth about $35.9 million, and he made about $17.5 million in cash from Facebook’s IPO. €17,000 – The amount that passengers on a flight from Paris to Beirut chipped in for a refuelling after their flight made an unscheduled landing in Damascus. The plane needed to refuel but because of trade sanctions, the bill couldn’t be sent to Air France – so the passengers had a whip-around. Ultimately the cash wasn’t needed. 15 – The number of Certificates of Irish Heritage given to some of the international entrants in this year’s Rose of Tralee contest. Despite an intensive Government publicity plug, sales of the certificates are still fairly low. 625 – The maximum amount of CAO points that Leaving Cert students were able to achieve this year (assuming they weren’t applying for a portfolio-based course). That’s because of the 25 extra points being awarded to students who passed Higher Level Maths. Otherwise, students were able to get a maximum of 100 points for each subject. Here’s our beginner’s guide to the CAO points system. 10,860 – The approximate number of students who passed the Higher Level Maths paper, meaning they’ll have the 25 extra points. 62.2 per cent - The proportion of people who sat the Russian exam in the Leaving Cert and got an A1. 156 of the 251 students took the highest grade possible – the highest of any subject. 35.6 per cent – The proportion of students who took Czech… and failed it. Five of the 14 students who sat the paper scored less than 40 per cent. That’s the worst record of any subject. €1.70 – The AA’s predicted price, per litre, of petrol in the coming fortnight. That’d be an Irish record. The AA says rising global demand for fuel will mean the current average price of €1.63 won’t be around for very long. 17,596 – The number of days for which Winnie Johnson, the mother of Keith Barrett, had unsuccessfully tried to find her son’s remains so that they could be buried. Barrett, who was 12 when he died, is the only 1964 Moors Murders victim yet to be recovered. Johnson died this morning aged 78. 17 – The number of Dáil sitting days missed by Gerry Adams in the first half of this year. That gives him one of the worst attendance records in the Dáil, having missed a quarter of the 68 sittings – but Sinn Féin says it can account for every one of his days. £52.57 - The amount, per minute, that Manchester United have paid to buy Robin van Persie out of his Arsenal contract. The Dutchman’s contract at the Emirates was due to lapse next June but United stumped up £24 million to get him out of it ten months early. 100 million – The number of people who will see Trinity College and other Dublin landmarks in a new Bollywood blockbuster. Ek Tha Tiger, starring Indian superstars Salman Khan and Katrina Kaif, went on release this week. 0.136 cents – The amount, per dollar of illegal transactions, that US bank Standard Chartered has been fined by financial regulators. The bank helped to hide $250 billion of Iranian transactions which breached trade sanctions – and got a $340 million fine. Email “Points, petrol and Roses of Tralee: The week in numbers”. Feedback on “Points, petrol and Roses of Tralee: The week in numbers”.